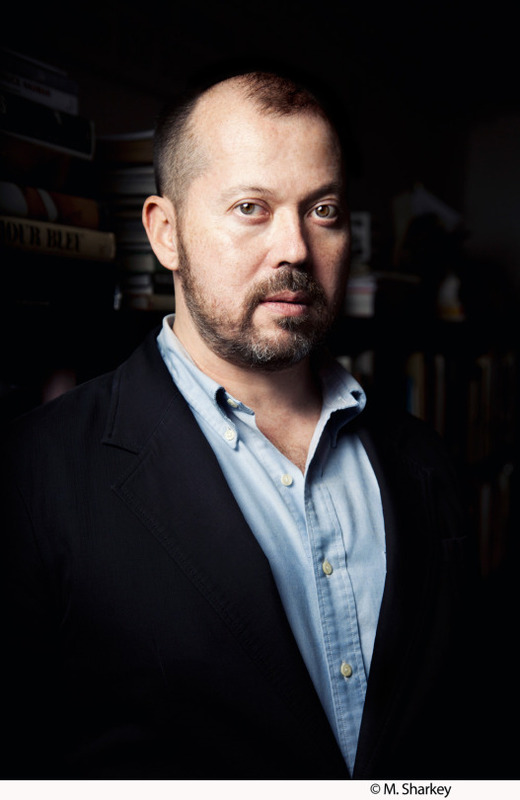 Alexander Chee worked on his second novel for more than a decade. His first, Edinburgh, is compact and lyrical, a devastating window into growing up queer and multiracial in rural Maine. A prolific essayist, Chee’s written with humor and warmth about everything from waiting on William F. Buckley and the future of queer marriage in America, to searching for answers in a tarot deck. He is a contributing editor to LitHub and the New Republic and an editor-at-large for VQR. I saw him read from his new book, The Queen of the Night, to a packed house at McNally Jackson, where he also spoke in conversation with blogger Maud Newton. We corresponded over email about researching the world of 19th century Paris, why opera makes a good blueprint for drama, and what makes his amazing heroine Lilliet tick. THE BELIEVER: You’ve published numerous essays online and developed a reputation as a nonfiction writer—a reputation, you wrote on your blog, that surprised you. Will we see less of Alexander Chee the essayist now? ALEXANDER CHEE: That post is funny to look back on now. It’s still funny to me but less so—with the reviews, it would seem my novelist identity is faring well enough. But nonfiction remains my day job, so to speak, more so than ever. Even as I type this, I have two on the docket, and I’m really enjoying my new relationship with the New Republic as a contributing editor, so plenty of essays ahead. And possibly a collection next. BLVR: In an interview with The Toast you describe how difficult it was to publish Edinburgh, and I remember cringing at your descriptions of how editors tried, and imaginatively failed, to shoehorn the book into a marketable category. What was the process of finding a home for The Queen of the Night like? AC: The Queen of the Night sold as a partial at auction in nine days. It was night and day. I was both happy and sad, given. The real struggle there was for me, in the writing of it. BLVR: One of the things that struck me about both your novels is the way you weave myth, fairy, and folk tales into your work—how integral these tales become to the structure of each book. What are you looking for when you turn to the bones of folk tale and myth in fiction? What do these older forms of storytelling offer that you can’t find elsewhere? AC: The fantastical elements are there to ground the real, but in each novel they act differently. With Edinburgh, I was trying to make a novel about something no one wanted to read about into something they couldn’t put down or look away from. Everyone would tell me they couldn’t identify with sexual abuse. No one says they can’t identify with the tales of the Greek gods and goddesses because they don’t live on Mt. Olympus, right? So the myth works to make the very real things people don’t want to look at visible for them. With Queen I knew I was doing something on an epic scale and the fairy tale aspect was the spine from which it all could hang, all of that history. It’s a picaresque as alternate history—it doesn’t dramatize real events as much as it proposes a secret history to the one we all know. All that weight needed a spell to make for some lightness. Thus, the fairy tale. BLVR: You mention in your research notes that The Queen of the Night is a “reinvention” of the opera The Magic Flute. Why that opera? Why opera at all? AC: The Magic Flute exerted a strange fascination on me. I kept wondering: why did people love it? Why did I love it? What was actually in there? The opera didn’t make any sense as a story: the hero is a puppet, propped up by a magical item he never uses to any purpose in the plot. The title is nearly a decoy—show me the scene where the magic flute of the title saves the day. Doesn’t exist. The flute’s there to function as the ritual conferral of power onto a young man from an older woman who is in truth more powerful than him. He betrays her almost immediately, switching sides. In a hero story, it makes no sense. But it is very much like life. And so it is, in a way, a realist opera, maybe the first realist opera, about powerful women who time and again betray themselves by supporting men who will never live up even to the barest minimum standard of loyalty. And it is a wish fulfillment fantasy for men: “I can fail at everything and still be supported and get everything I want.” I don’t know if Mozart meant it that way, but when you really read it, strip it down to what happens, that is what remains. A few reviewers have challenged me for saying this novel reinvents the themes of the Magic Flute—to be clear, this is what I mean. As for why opera? I was trying to write about evil and melodrama, [and opera] is one way to do it. Also, I have lived for a long time inside a series of coincidences that most people would find implausible in a novel. Whenever people say a coincidence in a novel is implausible, I think, Do I have a story for you… I knew it was a risk but what I was after was a novel that is about the feeling that comes with a coincidence in real life—that you feel as if something divine has intervened and has arrived with a message. This is something opera takes up, characters complaining about destiny and fate to an orchestral accompaniment. Thus, The Queen of the Night. Which opportunities for plot or story took you by surprise as you worked on writing an opera in the form of a novel? How did you find ways to play with that blueprint? AC: Pretty much all of it was a surprise. But “victory, defeat, victory, defeat,” that realization—and the realization that Il Trovatore is an entirely different story than the one you think it is by the end—that was the biggest surprise. As well as the way I could use it, to describe Lilliet’s situation, of being in a story that she did not understand, one controlled by someone else she couldn’t see. BLVR: The revelation of Lilliet’s American origins initially took me by surprise—she’s an orphan from rural Minnesota—and by the end of the novel she returns to the U.S. to perform. Why did you give your shape-shifting Parisian opera star American roots? How important was it for Lilliet to end where she began? AC: It began as a part of my misunderstanding of the story of Jenny Lind. I first imagined that of course someone with the nickname “The Swedish Nightingale” would be American, faking it in Europe. And I loved the swagger of that. But then I discovered she was in fact Swedish and I just kept what I liked. I had made something up about her that I liked better than her. So Lilliet is the shadow cast by Jenny Lind, in my mind. A shadow that ran away. And as for her ending where she began, that was that initial first vision I had of her. It felt so true I couldn’t do anything but obey it. But it also let me use something that fascinated me—the popularity of the Wild West show in Paris at the time. At the level of craft, it might seem like I could change this—there’s an idea of making characters that makes me a little nuts, that treats them like Mister Potato-head dolls. They aren’t. Characters to me are like sonnets, they have limits that you obey which allow a force to enter in, an invention that makes the novel possible. Change the limits and the force leaves. The novel becomes impossible. The secret to being a rider in the hippodrome wasn’t that you must be agile, or that you must be good with horses…It was that you must hide inside your costume a little of a killer’s heart…It is, on reflection, good training to be a courtesan. A woman of any kind. Can you talk a little bit about this bodily relationship between fear and ferociousness in Lilliet? AC: Sure. But to me there it’s more about her realization of what she needs in order to just stay alive as the sort of woman she is—young, without a family or a dowry or the protections of a social class. Her fears drive her to try harder. For a little while, this surprises her until she learns that this is who she is. Her fear makes her ferocious. BLVR: In one of the culminating scenes of the novel, Lilliet performs an aria as “The Queen of the Night” from The Magic Flute. She’s dressed in a gown that fills her with a sense of the character’s power: “I loved the power she commanded and the terror others felt at her appearance,” Lilliet thinks. I couldn’t help recalling a quote from the late fashion designer Alexander McQueen that I love: “I want to empower women. I want people to be afraid of the women I dress.” What role did fashion and persona wind up playing in Lilliet’s sense of self? She became so many women! AC: I love that this was your reaction and you’re not too far off. I kept some postcards from McQueen’s Met show over my desk once I saw it—I wish he was still alive, I would have sent him a copy. In my ideal world, the novel would inspire a collection by him as he was in his heyday. I have since been invited by a designer—I don’t know if I can say yet—to his Fashion Week show. So perhaps someone will do a Queen of the Night collection soon? I hope so. Fashion for her is both costume and code and sometimes a shield—sometimes it is the author of who she will be next. And, as the opening indicates, it is something that writes her fate. BLVR: There are many wonderful characters drawn from history in The Queen of the Night: the peerless opera singer and teacher Pauline Viardot-García, the plotting Comtesse de Castiglione, novelists Ivan Turgenev and George Sand, and the composer Verdi, to name a few. What was your research process like for this novel? At what point did you decide to let Lilliet loose among these historical figures, rather than inventing new characters wholesale? AC: I decided to let her loose among celebrities from the beginning—to the extent that it was even a decision. That dinner with the Verdis figured in some of the first pages I wrote, pages that came quickly and felt more like dictation than invention. But if she was a celebrity then, I knew she would know other celebrities of her age, other accomplished musicians, singers and composers. And so I saw it as a part of weaving her into the fabric of the age. It would be stranger if she did not know these people than if she did—written that way, no one would believe she had really been famous. BLVR: You’ve written about the importance of secrecy in your writing process, guarding what you’re working on. But how do you balance your fiction writing with your role as an essayist and cultural commentator—do these parts of your brain work together? AC: I don’t know that I believe in balance. It’s my experience that people don’t think of fiction writing as being as intellectually serious as other kinds of writing in academia and so without a career as a critic or essayist you can be treated as something of a spiritual medium—a fraud—for “just” writing fiction. But for me it came out of my training and my upbringing. I grew up treating a life as a writer as a career in letters, one devoted to many kinds of writing. And so it seemed normal to study both fiction writing and the literary essay as an undergrad. Annie Dillard, when training us in her nonfiction class, made clear we would be paid better as an essayist also so off I went. And with my family background—my parents were both activists—writing about culture and politics came naturally. BLVR: Has it been helpful to lead an active life online throughout the long process of writing a book? AC: I think one cannot discount the role of loneliness in all of this. We’ve never had to work this hard for this little, as writers. As writer pay declined and teacher pay also, we all started hanging out online. You could say online social networks cheapen our friendships or you could say we were cheapened by a plutocratic power grab and this is all we can afford. BLVR: Is it true that Edinburgh is being made into an opera? How did that come about? What can you tell us? AC: It is true. I’m very pleased. The composer Stefan Weisman and the librettist David Cotes are working on it. It came about in a very funny way—Sean Mills, Stefan’s partner, is an old friend I hadn’t seen in a while. I invited them to dinner and when they came, Stefan proposed the option. Stefan had been searching for a project right for the contratenor Anthony Roth Costanzo, who wanted to work with him on a role written for him. When Stefan and Sean were coming to dinner, Sean told him about my first novel and Stefan saw it right away. As Anthony has a tremendously high range—he’s really a male soprano—he is really perfect. That’s all I can say for now. That and that it was so odd for it to happen just as my new novel appeared—it was a little like that novel coming true. Kristen Evans is a freelance writer living in Pennsylvania. Her work can be found in the Los Angeles Times, Kenyon Review Online, Denver Quarterly, and other places. The former assistant managing editor of jubilat, she is also the author of the poetry collection MAMMAL ROOM. She tweets as @paperalphabet.